Have you ever tried to hide inside a backpack? How about walk across a mile-high swinging bridge? Are you talking to vegetables in the garden!? Sounds crazy, right? These are just some of the things that siblings Abby and Alex experience while on their quest for a day alone with their grandparents. When Abby’s much-anticipated hike and picnic with them causes her brother Alex to feel left out, she doesn’t give it a second thought. 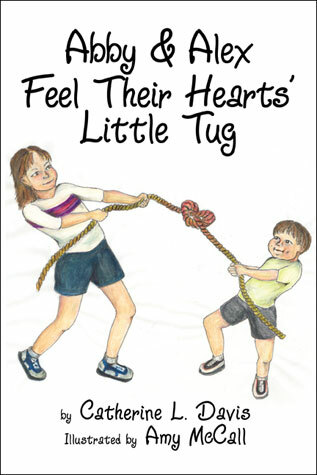 That is, until she feels a “little tug” in her heart at different times throughout the day. She realizes that this feeling is due to the fact that she actually cares about her brother. Meanwhile, even though Alex is upset by his sister’s special day without him, he gets the same “little tug” and can’t believe he actually misses her too! Join this family in the secret and sometimes unconscious things they do in order to make each other happy, even when they thought they didn’t care.